Beaded heart shaped earrings on silver french wires. Perfect for either Mother's Day or Valentine's Day. 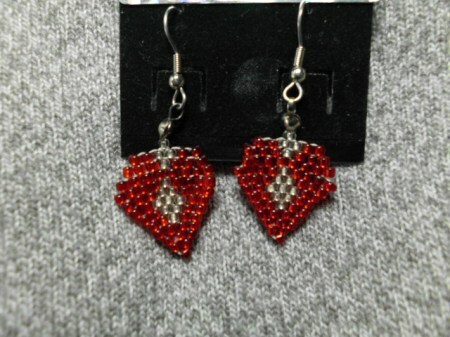 1.75" red and silver heart shaped beaded earrings on silver french wires.